Amazon Prime Music, the soon to be added latest Prime benefit for Prime members in India, will offer Times Music’s selection to its vast selection in Non Film music in Hindi & Punjabi, Fusion, Classical, Spiritual, Indie & film soundtracks in Tamil & Telugu languages. 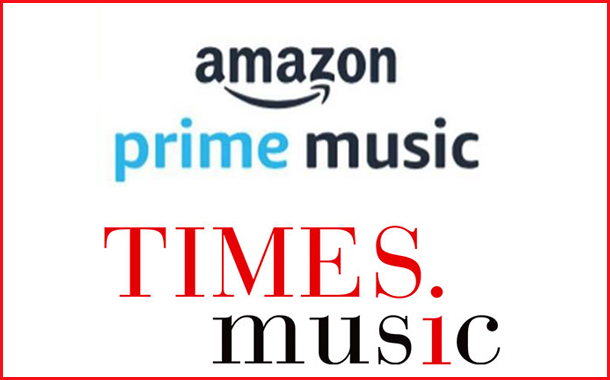 Mumbai : Amazon Prime Music today announced the launch of Times Music on its streaming service adding more than 25,000 tracks to its growing global catalogue of millions of songs. Soon to be launched as a Prime benefit at no additional cost, Amazon Prime Music will be able to stream the immensely popular tracks & upcoming hits across genres like Pop, Bollywood, Punjabi, South Indian Films, Indie and Spiritual. “Times Music brings some of the best and most popular tracks in languages like Hindi, Punjabi, Tamil as well as a diverse selection across genres like Pop, Sufi & Devotional on Amazon’s Prime Music service. We are thrilled to add this selection on our service that will delight our customers as they enjoy this music ad-free and available for unlimited offline downloads when we launch.” said Sahas Malhotra, Director, Amazon Prime Music. “Times Music is excited to collaborate with Amazon India to bring its vast & diverse music repertoire to Amazon Prime Music members,” said Mandar Thakur, COO, Times Music. Times Music is one of India’s leading music labels and has a catalog that covers tracks across various Indian genres of music etc. They are a market leader in the Spiritual and Indie categories, who also have a fantastic track record in other popular Indian genres such as Indian Classical, Indi-pop, Bollywood, Bhangra, Urban Desi, Fusion, Wellness, Lounge & Electronica.